If you’re running a local Brisbane business and you want to rank for local searches for your types of businesses then you have your job cut out for you. Without a professional Brisbane SEO manager to help you out, you’re going to have to research, plan, and strategise a SEO plan that will hopefully get you onto search above your competitors. Unfortunately, that’s not always easy. Brisbane is a hotspot of small and medium businesses that are growing under the huge job market thanks to the population growth in the surrounding area. With that in mind, here are a few handy tips to help you rank higher in local Brisbane SERPS (Search Engine Results Pages). Content is one of your most powerful marketing tools because content attracts visitors. By ensuring that your pages are localised and relatable to local readers, you are encouraging the citizens of Brisbane to read your website. You’re also giving yourself more fodder for sharing on social pages to make them more popular. What’s more, you also want to hyper localise your content. Yes it’s important to tell your readers, your ads, and to put on your website that you’re in Brisbane, but don’t forget your local area, neighborhood, and street. For example, if you search for ‘restaurants in Brisbane’ there are over 13,886 competing restaurants. On the other hand, if you search for “Restaurants in Mount Gravatt”, there are just 182 restaurants within that local area competing with you in search. When you narrow that down to “Restaurants on Newnham Rd, Mount Gravatt, you’re looking at just 8 search competitors. Apply that concept to your local area and your business and you could find yourself capturing hyper local customers. You’ve probably heard this half a million times already in 2014, but it’s important. Make sure that your website loads quickly on every device or you are loosing your hard earned clicks. Enough said. While Google loves to see new content, they’re not so hyped about the links. Take it easy on linking to and from other websites, and try to avoid guest blogging for the same of links. If you do include guest blogging in your policy, try offering your website URL without linking it. This will allow interested readers to follow you to your site without bringing unnatural links that could result in a Google penalty. You probably already know that the backend of your site has to be in shape, that you have to research keywords, and that you should use them sparingly. 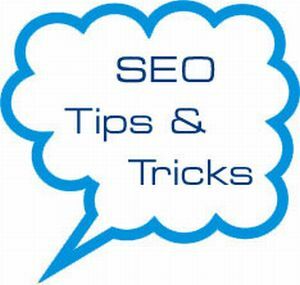 You should also know that quality is more important than quantity, and that you will be penalized for trying to influence search. With that out of the way, you just have to make sure that your website is for your readers, offers value, and is what it appears to be about. Other then that, you’re on your own with creating your SEO strategy. Interested in a Brisbane SEO campaign ? Exposure By Design is a Brisbane based web marketing firm specializing in custom website design, search engine optimization, website content management and more. Call us on 0409 228 554 or fill out an online contact form to speak with a Brisbane search engine optimisation specialist to learn more.